You can white-list websites using your category instead using the global white-list. 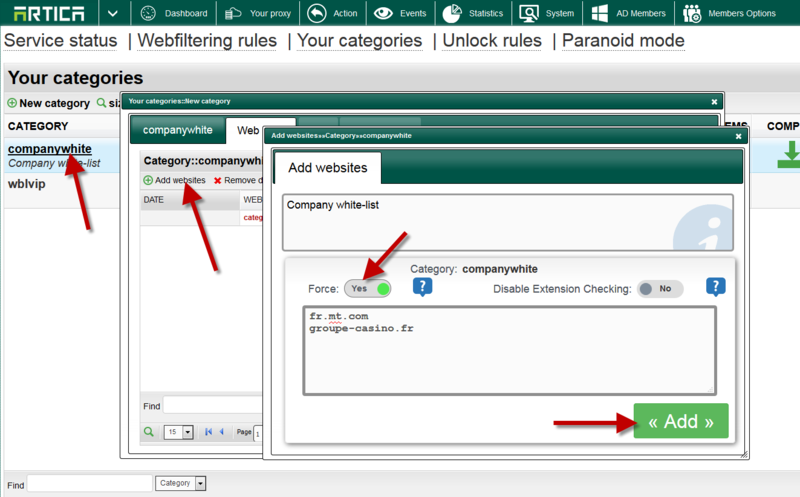 Using your category is more flexible because the white-list operation is made for each rule not for all users. 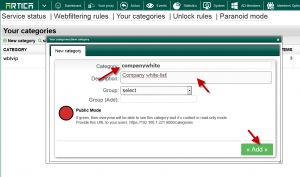 1) Create Your dedicated category for white-listing. On Your Proxy section, choose “Your Categories” link. 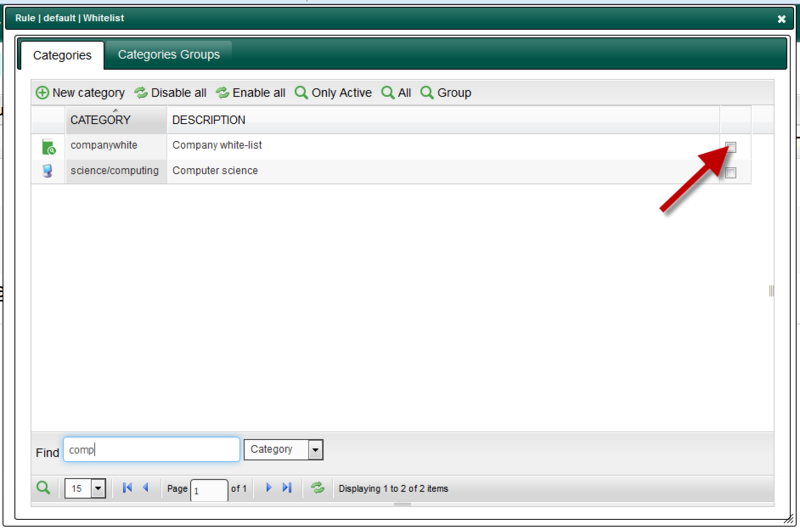 Click on the new created category in the main table. Click on Add Websites button. Give your domains you need to whitelist. 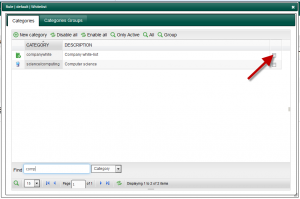 Click on the compile icon in order to install category data to the system disk. 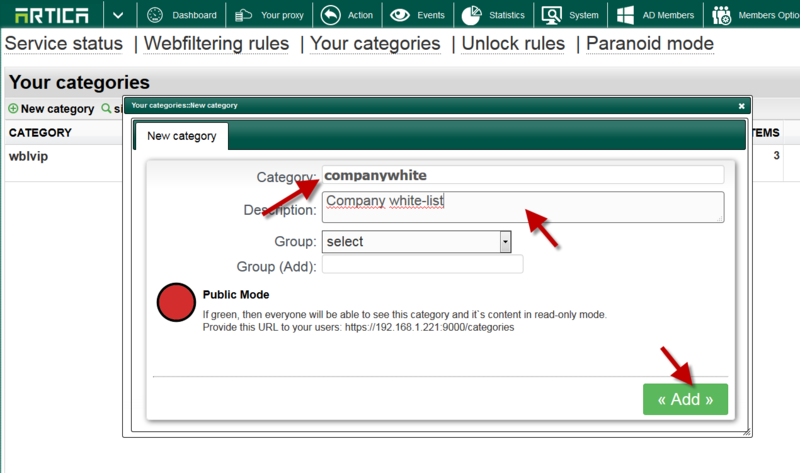 2) Affect your white-list category to your rules. On the rule you want to add white-list, click on the WHITELIST link number. Enable the checkbox on your white-list category in the list. ← How to create a dedicated port for Smartphones in order to avoid NTLM authentication ?